I bought a 32-Quart stainless steel stock pot recently, thinking that one day I may deep fry a turkey in this pot. To get good use out of it, I decided to make broth for Tonkotsu ramen. This pot itself weighs 13 pounds, if I fill it with water and ingredients, it’s impossible for me to lift it. If you have a 24-quart stock pot, it will suffice. 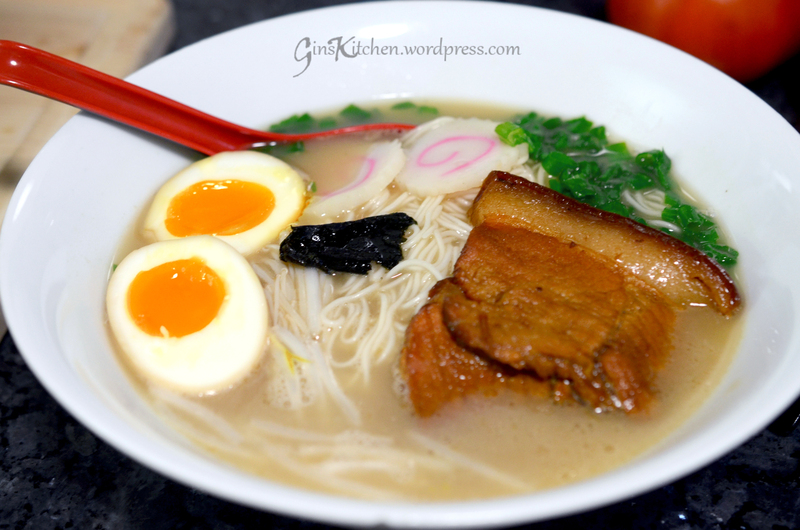 All Tonkotsu broth recipes require 12-18 hour cooking time (the longer the time, the more gelatin develops in the soup), but it doesn’t mean you are stuck in the house for the whole day. I cooked my broth for 6 hours the first day, let cool it and put it in the fridge, then continued to cook it the second day until the broth became thick and milky. One thing I have to mention is the pig fat “fatback”. Fatback will add nice and rich flavors to your broth, but for health concerns, I omitted it. 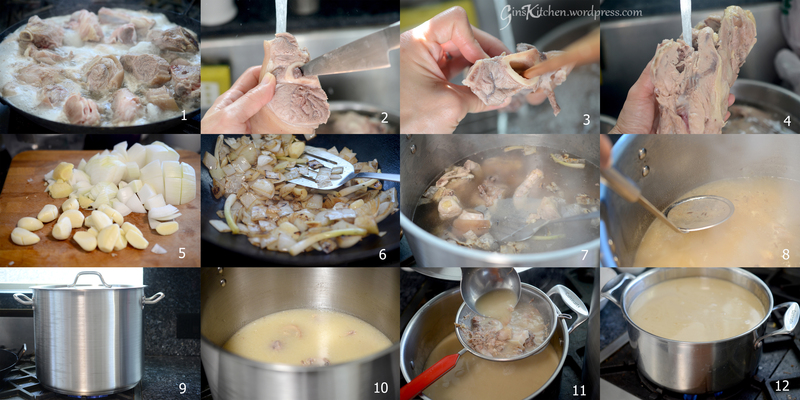 (Optional): If you want your broth to have a rich flavor, add pork fatback directly to your pot as the bones cook. After an hour, take the fatback out and finely chop it, then whisk some into the soup just before serving. 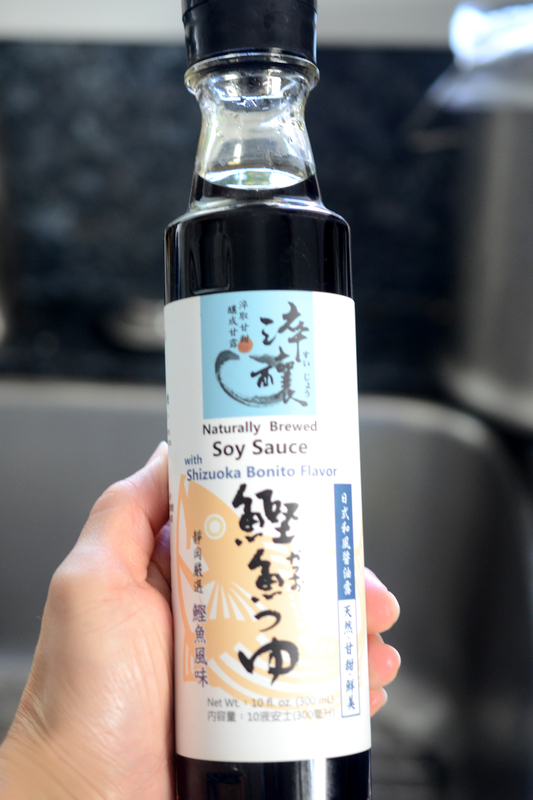 I found this soy sauce at the supermarket. Season the broth with a couple tablespoons of soy sauce can enhance the flavor. 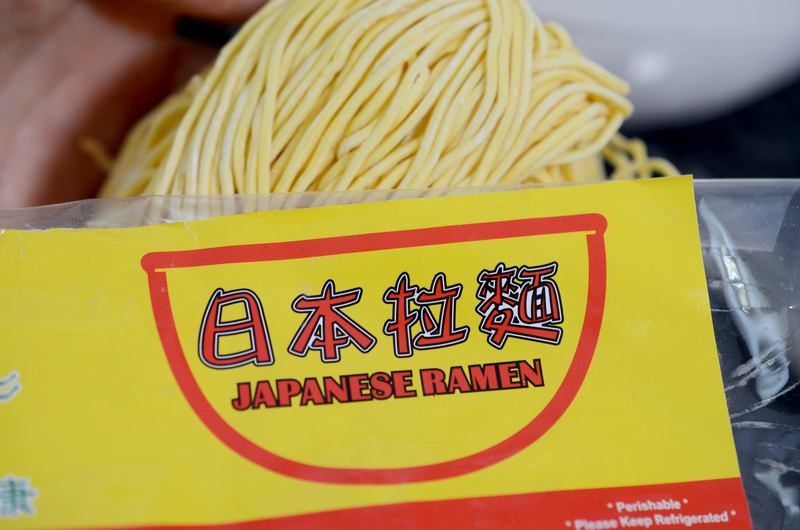 Also found this type of fresh ramen, cook noodles according to package directions. I have tried using ground turkey to make meatballs but they tend to lack flavor. The texture is more dense and you need to kick it up a notch by adding a lot of seasonings. I even tried to mix turkey meat with beef – flavor was a lot better but still couldn’t satisfy my taste buds, that is until today when I made these meatballs with 3 types of meat (turkey, pork and beef). 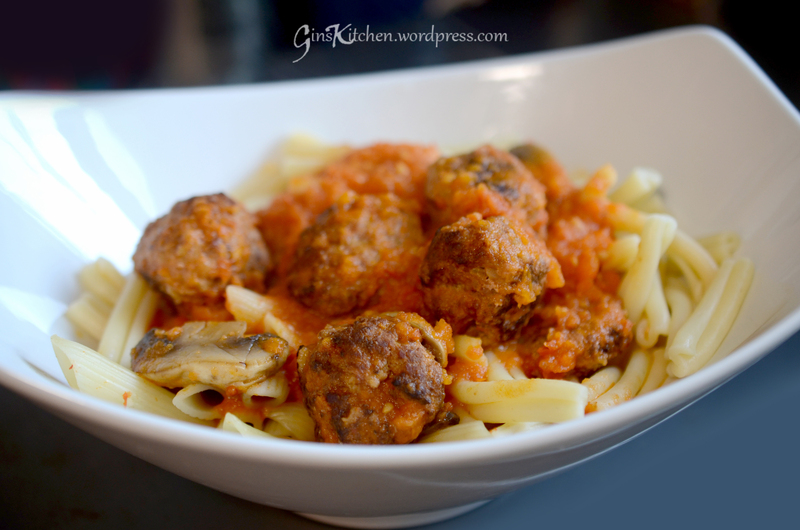 The combination of meats create an amazing flavor and the meatballs are very juicy. My kids finished their whole plate tonight. 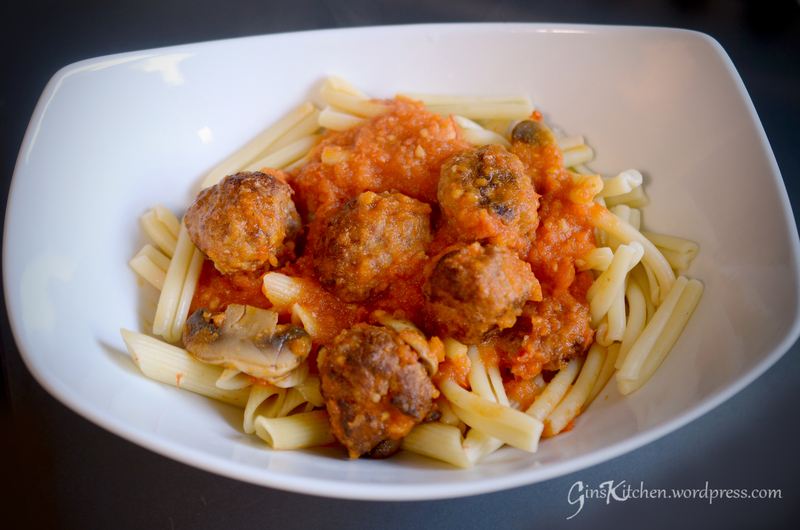 Return meatballs directly in your pasta sauce and simmer for 5-10 minutes. 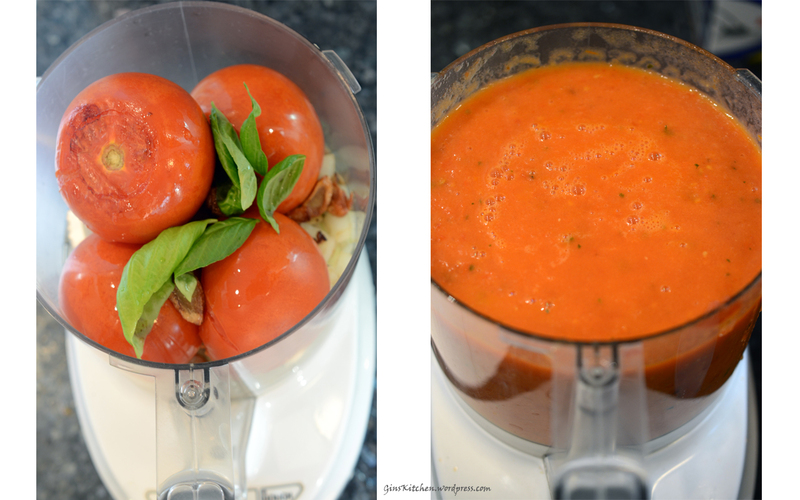 My home made tomato basil sauce can be found here. You can serve meatballs with spaghetti/pasta, make a meatball sandwich or just eat them with the tomato base sauce. When reheating cooked salmon the next day, its texture and flavor change. What can you do with leftover cooked salmon? 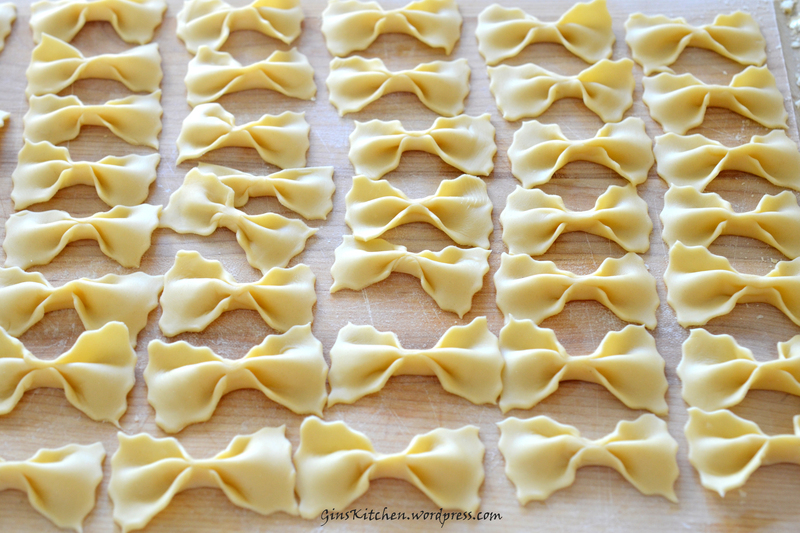 There are plenty of options, but I like to toss in bow tie pasta and cook it with creamy white sauce – it’s as good as the first day. You can use dried pasta but I made it from scratch, please go to my “Homemade Fresh Pasta” page for the recipe. Cook pasta according to package directions. 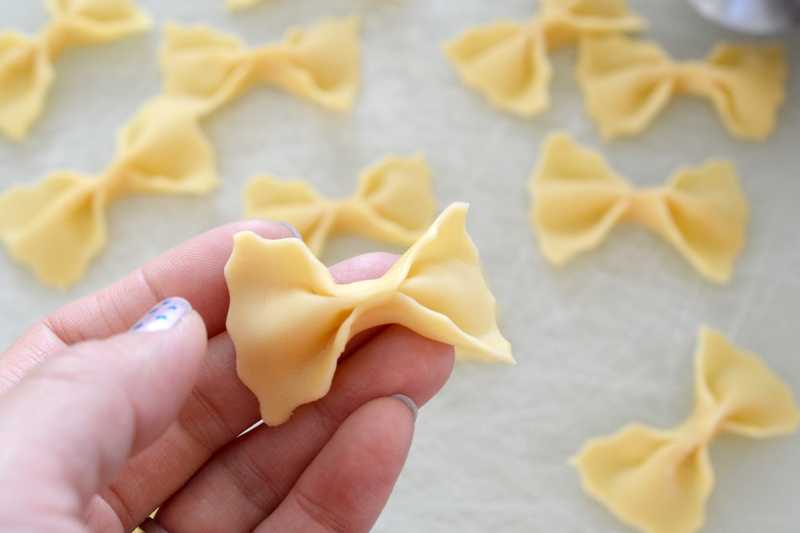 For fresh pasta, cook for 3-4 minutes only. Drain and set aside. Peel and devein shrimp, rub shrimp with ½ teaspoon of salt, set aside. In a large skillet, heat 3 tablespoons of cooking oil over medium heat and add minced garlic. When garlic is slightly brown, add salmon and shrimp, stir occasionally and cook for about 3 minutes. Add cooking wine, followed by whipping cream, milk and 1 teaspoon of salt (add more salt if needed). When sauce is bubbling, add bow tie pasta and basil and mix well. Stir in parmesan cheese and gently toss to mix. Sauce will be thickened now, if sauce is still too runny, combine one teaspoon of cornstarch with two teaspoons of water in a small bowl, stir to dissolve the cornstarch to thicken the sauce. Sprinkle black pepper and cheese over the top. 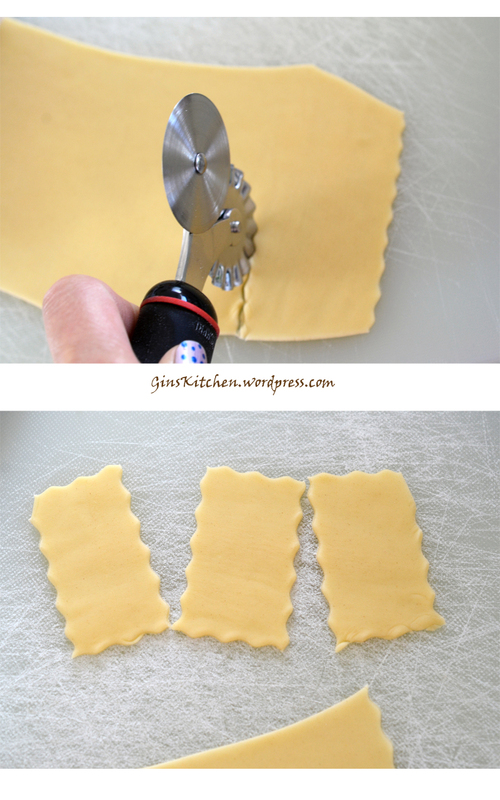 After rolling your pasta dough to the thinness you desire, cut into 1″x2″ retangles with a pastry wheel and cutter. Take one retangle and pinch in the middle. Place your index finger in the middle of the retangle and then bring the top and bottom to meet your finger, and press to seal the middle. 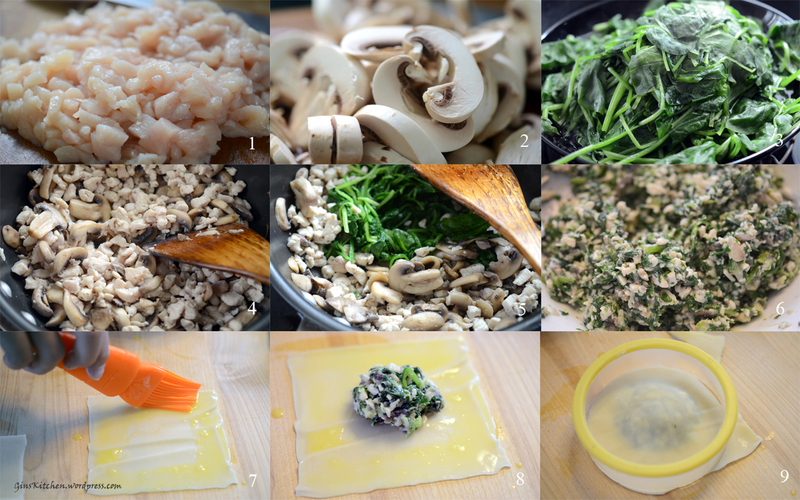 I cooked this dish with a Chinese wok and the wok flavor was so strong and made this dish so delicious. It’s a very easy and quick dish, it can be done in 30 minutes. Cook linguini in boiling salted water according to packet instructions. Reserve some of the pasta cooking water before draining the cooked pasta. Peel and minced the garlic. Deseed and finely slice the chili (if you don’t like your pasta spicy, omit the chili). Remove the basil leaves from the stalks and finely chop the basil stalks. Cut the cherry tomatoes in half. Set aside. Marinate scallops with a pinch of salt, place 1 tablespoon of butter to a small frying pan and pan fry the scallops until both sides are slightly brown. In a large frying pan, add 2 tablespoons of olive oil and then add garlic, chili, basil stalks and shrimp, cook over high heat. Fry and stir everything together for about two minutes. Add cherry tomatoes to the pan with a pinch of salt and pepper. Keep stirring. 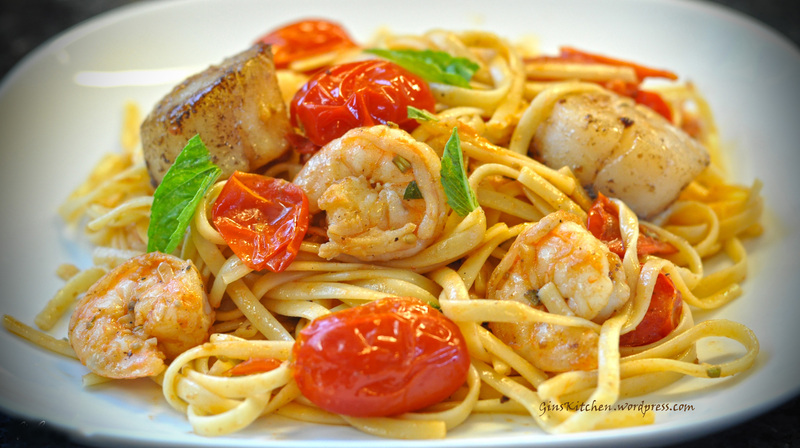 After about 3 minutes when the shrimp are pink and cooked through, return scallops and pasta to the frying pan. Toss everything together, and if the sauce is a bit thick, add a little of your reserved cooking water to thin it out slightly. Have a taste then season with a good pinch of salt and pepper. Sprinkle basil leaves on the top. Note: Do not overcook the shrimp. The Linguini should be cooked to the al dente stage, do not cook it too soft. 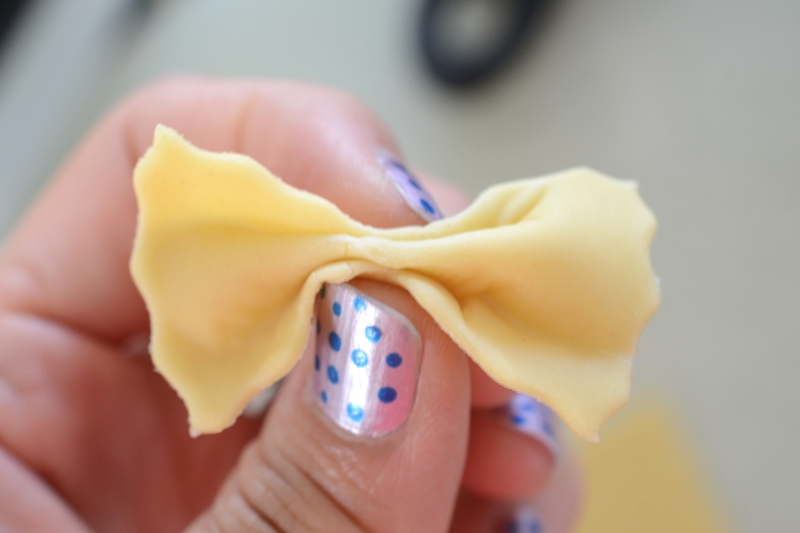 Making your own pasta is truly a fun thing. 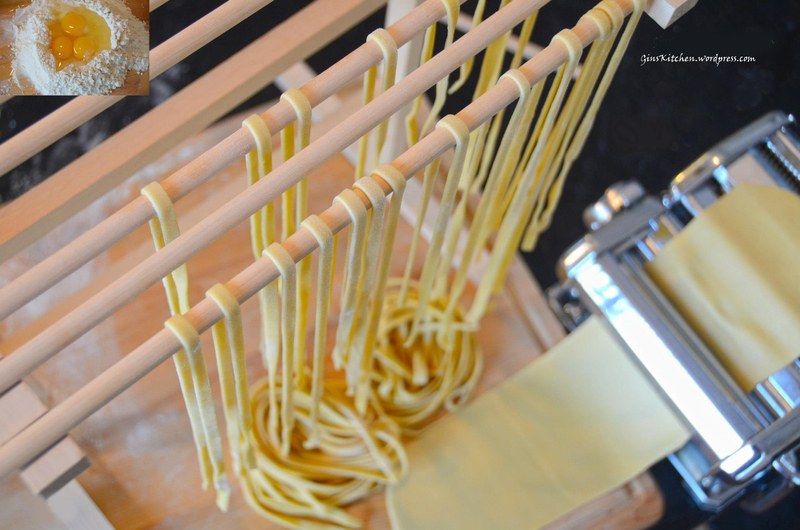 Although the dough can be made in a food processor, a more traditional method for making pasta is to use your hands and a hand cranked pasta machine. 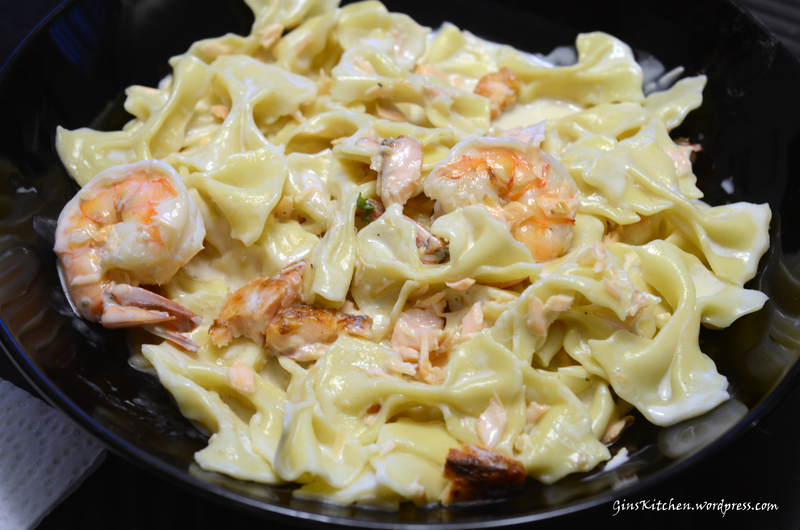 A month ago, I had a plate of shrimp fettuccine in white sauce at Colori Kitchen. OMG, the pasta was heavenly! When I had my first bite, I immediately could tell they made their pasta fresh. 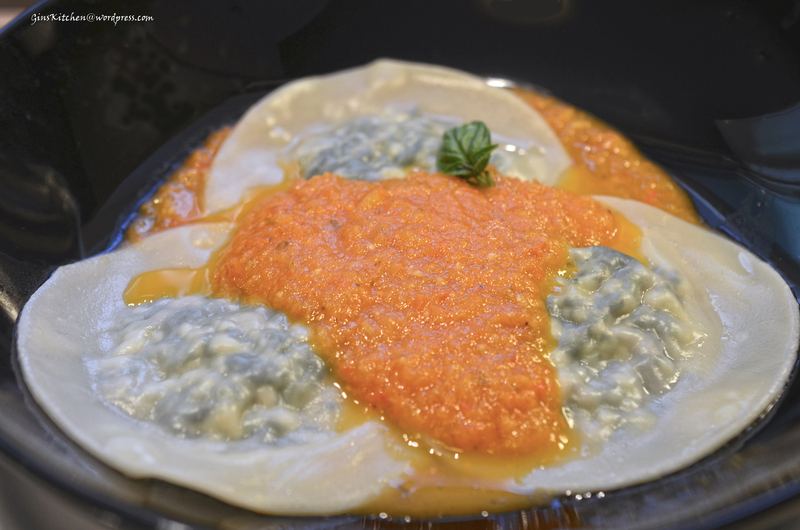 Its texture is more tender and the difference is out of this world! Mound the flour on a work surface and then make a well in the center. 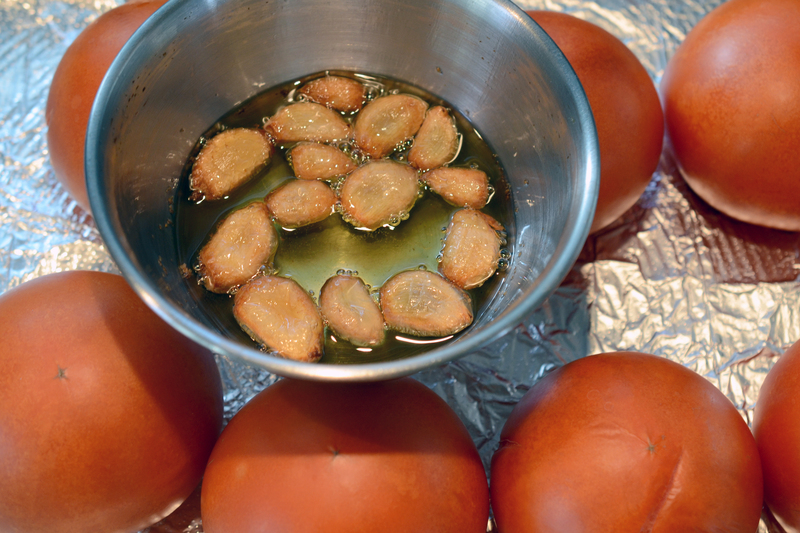 Break the eggs into the well and add oil and a pinch of salt, if using. Beginning to whisk the eggs and oil together with a fork, incorporating a little of the flour as you do so. Gradually blend the flour with the eggs, you can add a little water if you think the dough is too dry. Knead the dough on a lightly floured surface until you have a nice dough which is not too sticky and not too dry. It will take at least 6 minutes kneading to achieve a smooth and elastic texture with a slightly glossy appearance. Wrap the dough loosely in plastic and let rest for 30 minutes. 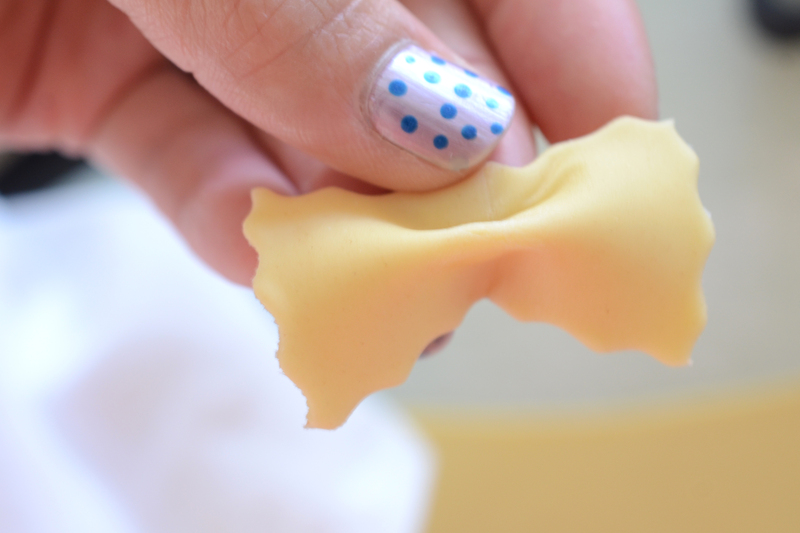 After the pasta has rested, run through pasta rollers on widest setting, crank the dough through two or three times. Fold it in thirds, turn the dough 90 degrees and feed through again. If the dough feels sticky, lightly flour the outside surfaces each time it is rolled. Repeat this folding and rolling process eight to ten times. Reduce the width of the rollers by one setting and pass the dough through, at this point, the dough is not folded. Repeat, setting the rollers one notch closer each time until you have rolled the desired thickness. To cook the pasta, boil it for only about 2 minutes in a large pot of salted water.